Cividesk is growing - Welcome Timothée! Welcome to the team, Timothée! Timothée has joined Cividesk team as our new account manager. Timothée manages our customer accounts from onboarding new customers to mentoring current customers on their daily usage of CiviCRM and by helping them with their ongoing needs. You've heard us talk about Giving Back and how it's a cornerstone of our company culture. You've heard us talk about Kiva. Now let's talk about what we have accomplished so far and the direction we are headed. Have you ever wanted to send emails to all of your contacts that meet specific criteria such as everyone coming to an event or all donors who made contributions under $500? You might not want to create a group for each of these scenarios but you may want to send them a targeted email. 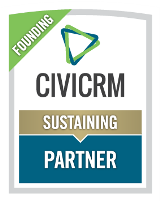 CiviDesk is excited to announce that we plan on upgrading all our customers to CiviCRM 4.7 in the very short term. CiviCRM 4.7 has been out there for a while now and we strongly believe now is a good time to upgrade. 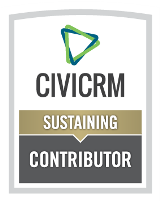 We have already upgraded a few of our customers to CiviCRM 4.7 and are quite pleased with its functionality and maturity.